2.-0 LCA conducted a literature review of LCAs on major vegetable oils as well as a review of standards and methodologies. This was supplemented with a quantification of direct and indirect effects and a stakeholder consultation. Project completed March 2016. 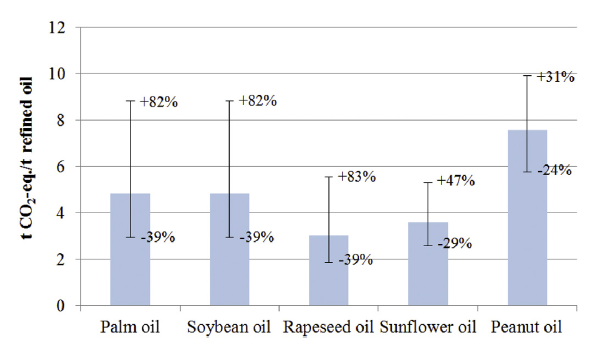 The purpose of this projects is amongst others to evaluate and compare the environmental performance of different vegetable oils, including the relevant market responses induced by the oils’ by-products. The project resulted in a proprietary report. The study was also presented to the audience at the 11th Annual Roundtable Meeting on Sustainable Palm Oil, 11-14th November 2013, Medan – see the presentation.